Hey guys I'm a new member of this site.. I just sold my formula one red S2k and now I'm in the market for BMW M series. Not sure which one i'm interested in yet. But im debating between the new M4 and the last body style M3 coupe. I know there are some big differances, like one has a bigger v8 engine and the M4 has an inline v6 twin-turbo, also I hear it has a fake fabricated exhaust sound..
Anyways I would like to hear what you guys think about the 2 cars? anything that will help me decide which car to buy..
i have a 2011 E92 (v8) M3, but i have ordered a new 2016 M4 (inline 6 turbo). They are both great cars, but the M4 has a lot more torque. You should test drive each and decide for yourself. Mods: BMW Motorsport 4.10 Diff (REM Polished); Euro Headers/Cats; Evolve-R Tune; VibraTechnics Engine Mounts and Transmission Mount; Stainless Steel Brake Lines; Mason Engineering GSP Clutch Pedal; Dinan Muffler; RAC 63 18" Wheels (silver) w/ Michelin Pilot Super Sport Tires; 17" Winter Wheels w/Michelin Pilot Alpin 3 Tires; AutoSolutions SSK (30% throw); CPI Rasp Terminator; Koni Yellow Shocks; Hotchkis Sway Bars; CDV Delete; Streamline Panel Filter; Stainless Steel Shift Knob and Ebrake Handle; Stainless Steel Pedal Set; Leather Z IR Shift Boot; Tekarbon 1/2CF CSL Style Diffuser; Dice Silverline Ipod Integration Kit; BeemerEvolution IR Dash Gauge Rings; Micro Antenna; M3 Trunk Mat; Stealth Bulbs; Eurotray; Eurowise Billet S54 Dipstick; SGM Hardtop; Vert. Windblocker; LeatherZ Spare Tire Kit; LeatherZ IR Shift Boot; IR Arm Rest; BMW Advanced Charging System; Body Colored Reflectors; Venture Shield Clear Bra; Keyhole Delete; BMW Car Cover. Very different cars, you need to decide what you want. E9x has a high revving high hp low torque engine like the s2000. F8x is torquey and dies off at high rpm. E9x rides more comfortably but feels (and is) heavier all the time. Drive both, buy the one you like better. E9x is probably the last M3 that's a reasonable long term (post warranty) ownership proposition. This has probably been my biggest surprise about my M3 that I bought in January. It has very little torque. You read "4.0L V8" and picture a boat load of torque, but it's not there. and then, in the midrange and of course up high, the thing just pulls you to triple digit speeds very soon. This is exactly the same quandry that faced e46 M3 owners when the e9X M3 was introduced. Owners of the e46 M3 (and that includes me) were concerned about the loss of the classic inline 6 (many forgetting that the original e30 M3 had a twin cam 4 cylinder), the increase in physical size, the more commodious accomodations, and the movement away from the more classical BMW styling. But the fact is that none of those concerns diminished the e9X in the least. The actual car is very much a BMW and very much an "M". The new generation M4 is once again larger (although not heavier) and has forced indction for the first time. It also has electronic power steering assist (which is my biggest concern). Bt only time and driving experience with the new car will answer these questions. I replaced my beloved e46 M3 with an e92 M3 coupe, and couldn't be happier. Let's give the new car a try before we criticize it. That has been a hallmark of the M3. It is a high-revving powerplant designed for high speed power rather than drag-racing. The only exception was the North American version of the e36 M3, which used a version of the 328i engine mated to a different head. This was done to keep the costs down. 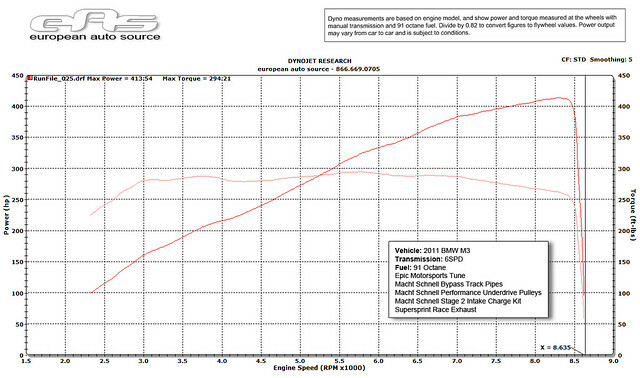 The European e36 M3 carried an earlier iteration of the S54 engine that we had in our e46 M3's. All times are GMT. The time now is 06:35:53 AM.